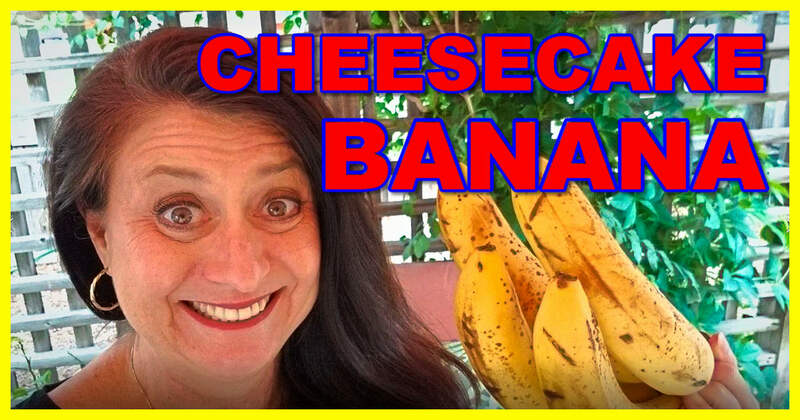 Do you love the Cheesecake Factory’s Banana Cheesecake? Then you are in luck. This New York Style Banana Cheesecake recipe with a vanilla wafer crust is so creamy and a perfect dessert for the family. It can be made gluten free or regular. You will wow your guests and family with this beautiful dessert. 2. Place wafers in a blender or in a food process. Blend until finely crushed. 3. Add melted butter and blend well. 4. Using a 10-inch springform pan (https://amzn.to/2x2LfmB), press crumb mixture onto bottom of 10″ pan. 5. In a large bowl, beat cream cheese with electric mixer at medium speed until creamy. Add sugar and cornstarch. beat until blended. Add eggs, one at a time, beating well after each addition. Beat in bananas, whipping cream, and vanilla. 6. Pour cream cheese mixture into prepared pan. Place pan on cookie sheet and bake 15 minutes. 8. Cool completely on wire rack. 9. Refrigerate cheesecake, uncovered, 8 hours or overnight. 10. Before serving run a knife along the edges. Then remove springform pan ring. 11. Allow cheesecake to stand at room temperature 15-20 minutes before serving. 12. Using a knife that has been slightly heated under warm water, cut into serving.